We are excited to offer the new flagship camera from Sony. The new VENICE camera opens up a whole new world of creative options. A full-frame sensor, dual-ISO, built-in ND’s, E-mount, and updated color science, are just a few of the updates Sony has packed inside this new camera. Made of rugged magnesium alloy and weighing in at 8 lbs., the Venice is ready for any harsh shooting environment. The modular body can easily be built up for studio builds or stripped down for gimbals and handheld. Another important addition is internal ND filters that the user can adjust in one-stop increments from ND .3 all the way up to ND 2.4.
improved colorimetry and user experience. Users familiar with Arri cameras will feel right at home with the LCD screen on the right side of the camera. A ‘Home’ screen displays all the pertinent shooting information with a simple push button above ‘fps’, ‘ISO’, etc. Sony has simplified the menus with only the most used menu items combined into a simplified base menu. By holding the menu button for three seconds accesses the extended, full, menu. The E-mount opens up the ability to use thousands of affordable still camera lenses from Canon, Nikon, Leica, and more. The E-mount should be able to support any size still lens thrown at it due to the improved lever lock system. The camera currently supports electronic iris control of Sony E-mount and Canon EF lenses by setting the 1 and 2 user buttons as ‘iris up’ and ‘iris down’. The PL mount can display LDS lens information on the viewfinder and monitor displays. The PL mount is simply removed with six hex screws. The Venice sensor is the real showstopper. The size of this brand new sensor is 36x24mm; a century old photography standard. This familiar sensor size provides a more natural field of view and bokeh. The camera records 6k RAW images at full resolution to the R7 recorder. Internally the camera can record a down-sampled 4k image directly to SxS cards in the XAVC codec. Out of the box, the Venice aims to deliver a softer tonal look with accurate skintones and high dynamic range. By utilizing dual circuitry in the sensor the Venice can accomodate two base ASA’s of 500 and 2500. This means that equal amounts of dynamic range is given to the highlights and shadows at both ASA ratings. Our venice kit includes the Arri Pro Set support bundle. It comes with a sliding top handle and 15mm lightweight baseplate. On the bottom of the 15mm base is another sliding assembly that a shoulder pad or studio bridge plate can quickly be attached to. We also include an Anton Bauer battery plate, anamorphic license, and full-frame license. Optional items include the R7 recorder for RAW recording to AXS 512GB media. 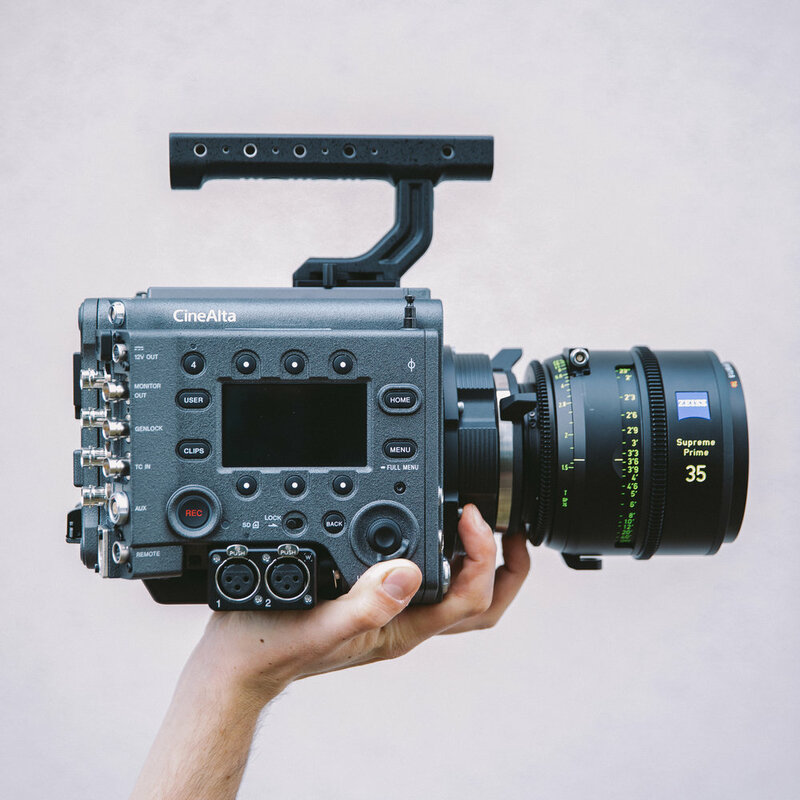 Contact our rental department today to get the VENICE on your next shoot.